It has been a strange week, what with trying to catch up from the holidays and all. So this post will be brief. On Monday, I posted this picture of a commonly found fossil in Arkansas, provided you look in the right places. Here were the clues. Clue 1: It’s from the Cretaceous. Clue 2: It’s modern day relatives are widely considered a delicacy. Clue 3: This is no wilting lily. This creature is big and bold. It shows how twisted it is on the outside for all the world to see. Dude, that’s heavy. 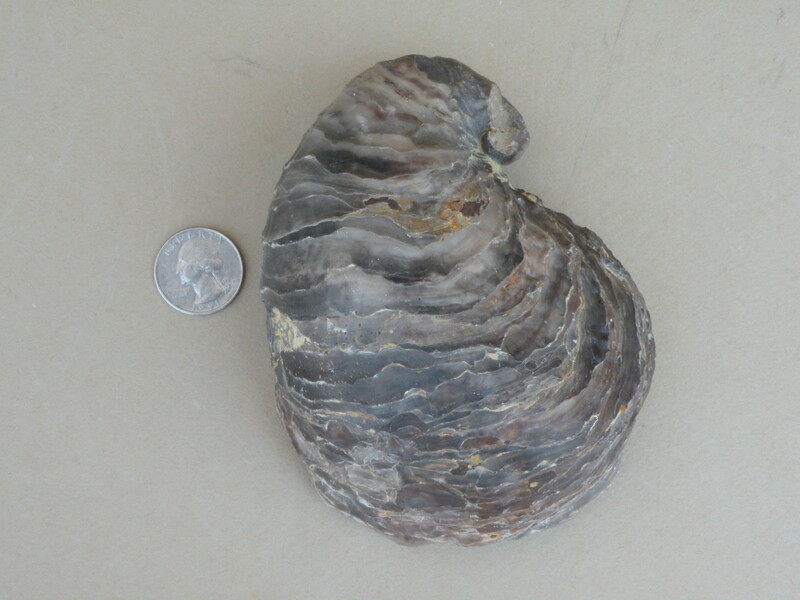 E. ponderosa was one of the earliest clams of this genus that was named, by Ferdinand Roemer in 1852, a German lawyer who gave up law to study geology in Texas, thus his title as the Father of the Geology of Texas. You can fossils of them from Texas to New Jersey and Delaware, south through Mexico and Peru. By paleoaerie in Fossils of Arkansas on January 10, 2014 .